Were there moments in your life when you felt that things could have been better for you? Do you occassionally ponder the “If only…”s…if only you were smarter, if only you were better in this, if only you weren’t down with a particular disease etc. Let’s face it. Life is unfair. Some have it good in life while some have it worse. Most people just make do and put up with their situation in life. But will you? The more important question is…why should you? 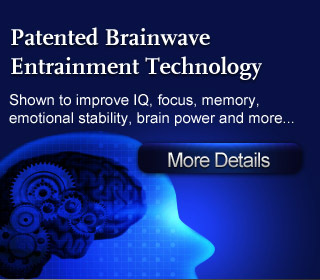 With our groundbreaking MAX-TREX digital audio technology, music can be remastered to give it powerful mind activating and brain training characteristics. The result is called MindMaximus™. And the possibilities of using MindMaximus™ to attain whatever you want in life is limitless. MindMaximus™ introduces the brain to new, high performance states, pulling it out of its comfort zone and propelling it to a higher level of operations. The brain responds to this increased neuro-logical demand by growing stronger and generating more neural connectins, neurotransmitters, dendrites, aons and neurons. The more often the brain is trained with MindMaximus™, the more natural and scientifically documented brain building response is activated. The result is permanent, long-term gains in various aspects of your life. Yes you got it right. At MindMaximus™, we are so sure that our products will and have positive results for you, that we are offering you Life Time Money Back Guarantees on every cd that we have. Simply put, you can trust that every MindMaximus™ product will deliver on its promise.